Poland is renowned for its poster design and recently there has been a number of attempts to provide a more nuanced account of its graphic design history (See David Crowley’s review ‘Shadows over Poland’ in Eye 83) While designers such as Henryk Tomaszewski and Roman Cieslewicz have enjoyed much exposure in the West, this exhibition draws attention to other designers working in the heyday of Polish poster design. Commissioned by state-controlled film and theatre institutions during the Communist era, Polish designers often had to come up with lateral alternatives to the conventional star-centred photographic imagery used in foreign originals, which were deemed inappropriate. Poster for the film Klute designed by Jan Mlodozeniec in 1973. Top: Poster for Peter Shaffer’s Czarna Komedia (Black Comedy) designed by Franciszek Starowieyski in 1969. 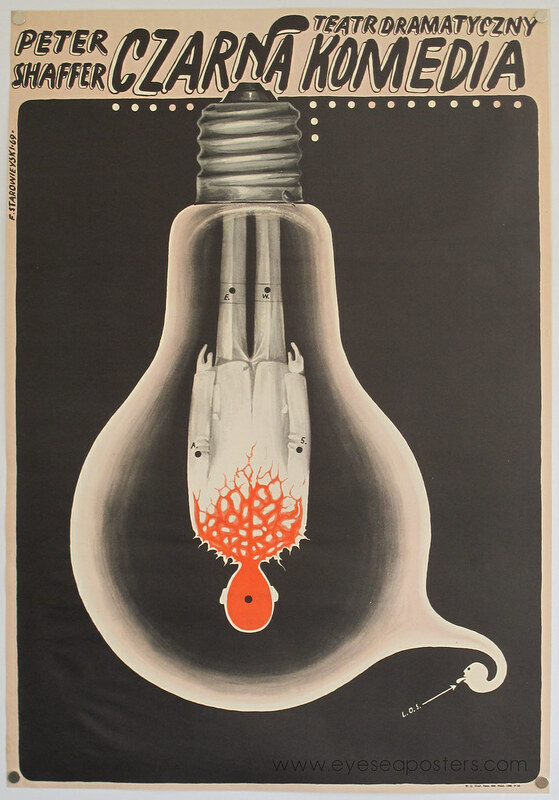 The result was posters that in employing all manner of visual rhetorical strategies, from puns to metonymy, were graphically bold, conceptually clever and sometimes surreal, subversive and satirical. 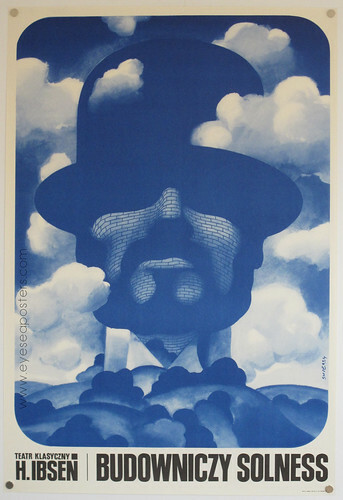 Poster for Ibsen’s Budowniczy Solness (The Master Builder) designed by Waldemar Swierzy in 1971. The exhibition at creative agency Protein’s concept space in East London features posters by Wiktor Gorka, Waldemar Swierzy, Franciszek Starowieyski, Andrzej Krajewski, Jerszy Flisak, Maria Ihnatowicz and Jan Mlodozeniec, and also includes a film programme of rare Polish films, and a forum on the history and influence of Polish poster and graphic design. ‘Iluzjon’ runs from 19 to 29 October at the Protein Gallery, 18 Hewett Street, London EC2A 3NN. Open weekdays: 8am-6pm; Sat & Sun: 11am-4pm.